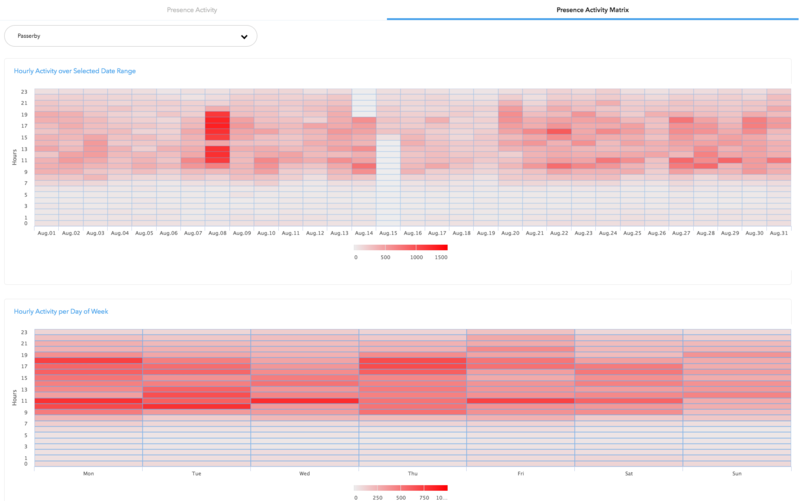 MyWiFi Networks | Platform Support - What is Presence Analytics? 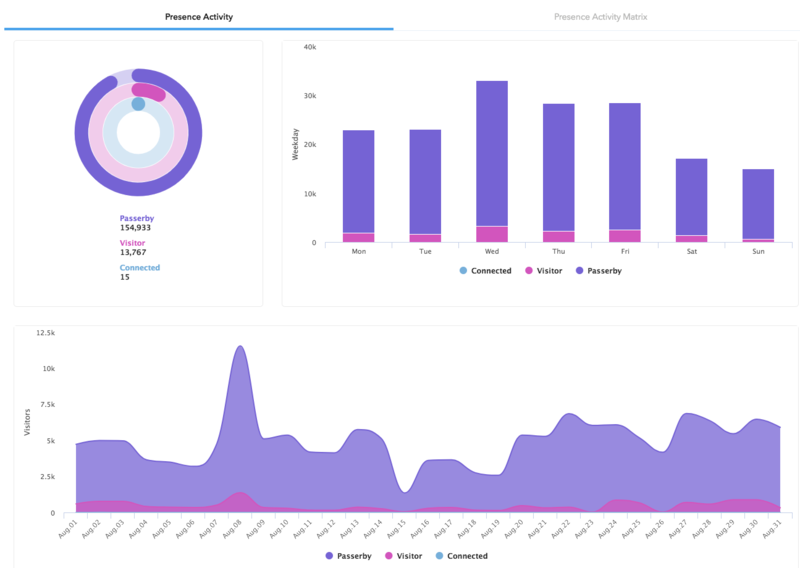 All Categories ​>​ Analytics & Reports ​>​ What is Presence Analytics? Presence Analytics allows you to gauge the foot traffic within the range of the hardware. Given the right marketing efforts, this foot traffic estimate can equate to additional sales for the business offering social Wi-Fi services. Passerby: Any wireless capable device that's broadcasting and within signal range of the Presence Enabled Access Point. Visitor: Any wireless capable device that has a signal strength equal to or higher, than the average signal strength of connected devices. Where can I find my Presence Analytics stats?